FOXBORO, MA - DECEMBER 24: Vince Wilfork #75 of the New England Patriots prepares for drills before a game against the Miami Dolphins at Gillette Stadium on December 24, 2011 in Foxboro, Massachusetts. Vince Wilfork of the New England Patriots says he has been informed that the team will not be picking up his option. He released the following statement via his Twitter account Thursday morning. 33-year-old Wilfork was drafted by the Pats in the first round of the 2004 NFL Draft. He played college football for the University of Miami. No. 75 was named both to the Pro Bowl and the All-Pro team in 2007, 2009, 2010, 2011, and 2012. Wilfork is thanking the Patriots and fans for the past 11 years. He was due to receive a $4 million roster bonus by Monday and would have gotten $14 million over the next two seasons if it had been picked up. 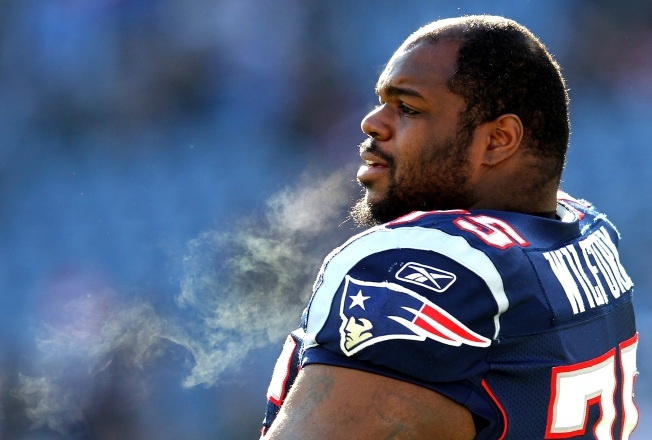 It should be noted that Wilfork has not ruled out a return to New England next season.